Sugoi is Canadian company that specializes in athletic wear for biking, training, and more. The high quality material provides the best apparel for demanding sports and other activities. Working with professional athletes, the brand has perfected its materials and clothing features. With Big Apple Buddy’s personal shopping service, you can now buy direct from the Sugoi online store anytime, anywhere. 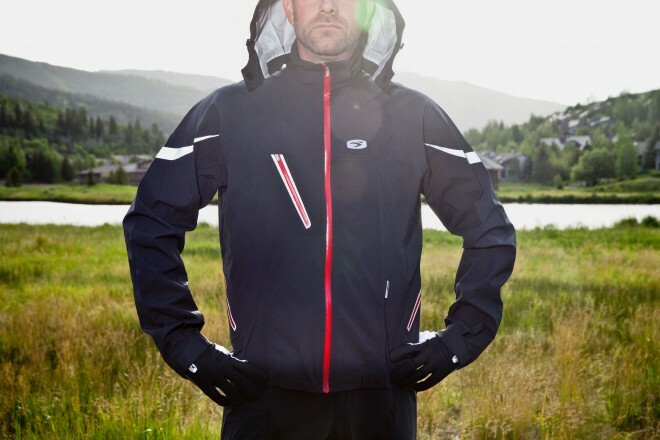 Take your bike out for a ride with the RSX Neoshell Jacket from the Sugoi bike collection! This is the best way to stay dry when your riding no matter how hard the rain hits you. Meanwhile, the jacket is lightweight and breathable so you can also stay comfortable and move any which way without restraint. The soft fabric is yet another plus when you're going out for a ride - you'll never take it off! For those serious bikers out there, the RSE Bib Short is a must-have for you! Sugoi has made biking apparel as comfortable and as innovative as possible so you can focus on your activity more than anything else. It'll fit like a glove as you take on any terrain with your bike and remain cool as you work out. You get the ultimate support while still maintaining the breathable material! The RSE Jersey from Sugoi is essential if your taking your bike out for a nice long ride. This pro fit jersey is one of the most popular of the collection as it's simple but with lightweight, breathable fabric so you stay more comfortable and drier longer. No one likes to feel sticky and sweaty, especially while riding, but this shirt rids you of all that. You even have two colors to choose from according to your style! Unfortunately, the USA Sugoi online store does not currently offer international shipping. However, Big Apple Buddy, your personal shopper, can help you buy products direct from the official USA Sugoi online store and ship them to your doorstep, no matter where you are in the world. We offer international shipping to over 190 countries including Australia, Austria, Bahrain, Belgium, Bosnia & Herzegovnia, Brazil, Brunei, Canada, China, Croatia, Cyprus, Denmark, Estonia, Finland, France, Germany, Hong Kong, Hungary, Indonesia, Ireland, Israel, Italy, Japan, Kenya, Kuwait, Lithuania, Macau, Malaysia, Maldives, Mexico, Namibia, Netherlands, New Zealand, Norway, Oman, Pakistan, Portugal, Saudi Arabia, Scotland, Serbia, Singapore, Slovenia, South Africa, South Korea, Spain, Sri Lanka, Sweden, Switzerland, Taiwan, Tanzania, Thailand, UAE, UK and Ukraine. If you would like to buy from the USA Sugoi online store, simply let us know which items you would like to order (by filling out the form on the right) and we’ll get back to you with a free international shipping quote within 24 hours!